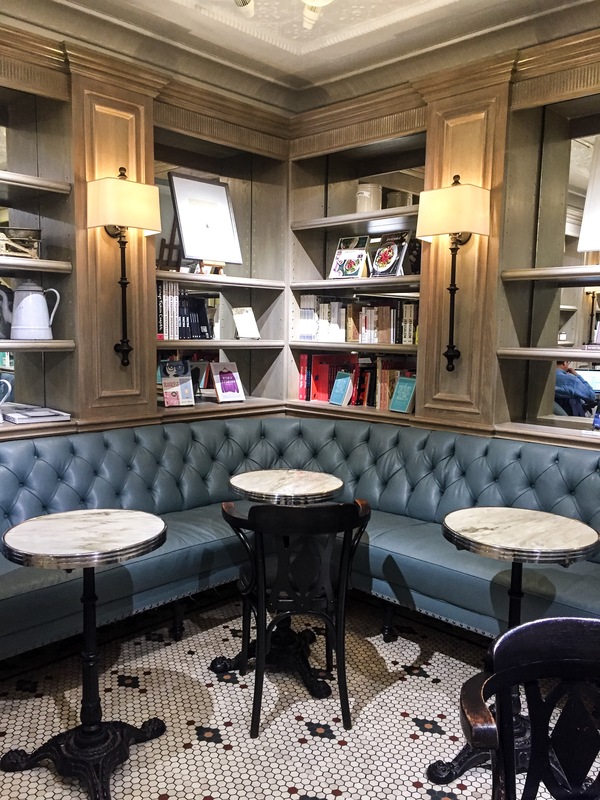 I’m going to let you in on a not so secret secret: there’s a “hidden” coffee shop in the Club Monaco on St Catherine street downtown Montreal. Unless you spend your time looking up to the sky, you won’t notice the tiny little sign saying Café Myriade hanging way above the street corner, but it’s there! From time to time there will be a chalk board outside, but from what I’ve noticed, no one really sees it! Don’t feel funny walking into a fairly classy clothing store, just head on to the back and down the staircase, and you will be greeted by the delicious smell of coffee and a smiling barista. Now, I do admit I was hoping for a secret door leading down to a secret coffee shop, but what I found is just as good. The coffee bar is actually by the entrance of the men’s section of Club Monaco, in the basement, which is probably another reason why it’s well hidden… I’ve never noticed a mens’ section for that brand. I do admit, I never personally shop in the men’s section, so another reason why it’s a well-kept secret! It makes me think a little bit of what you’d expect Selfridges or Harrods tea rooms would perhaps look like; a very vintage chic and elegant room, filled with bookshelves lined with mirrors and fancy bottles and jars. There is a great selection of local products, such as jams and syrups, as well as cookbooks and coffee/tea accessories. You can order a delicious cup of 49th Parallel coffee, along with a patisserie, or some other coffee beverage or tea-based beverage. 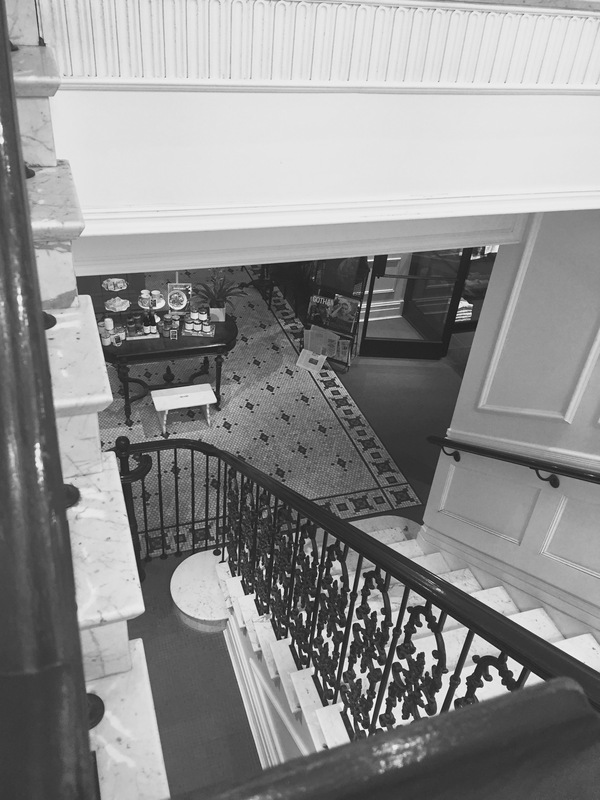 If you’re looking to surprise a friend, or just want a better tasting cup of coffee downtown, head on down to Club Monaco and the Myriade Café… you might want to power walk through the store though, there are so many cute looking things that you might end up leaving with more than just a cup of joe!